The following diary of the event provides an insight into my participation in the competition and the achievements of our fellow SoAGC pilots. And so for the second year running, I made my way over to Bidford in readiness for the Regionals Competition. As this was my second competition there were no pre-comp nerves as there were in the previous year. Perhaps I was a bit too relaxed about it as until that day I had not done any preparation for the event! The committee had kindly allowed me the use of our clubs LS4. To save the hassle of de-rigging it, my ferry pilot (Dave M) flew it over for me that afternoon. Stratford was well represented at the comp. We had Barry and Sharon (Kerby & Kerby) in their Duo Discus, Mike C in his LS10, Andy B with is LS8 and finally Dan B with his ‘Battle’ Lak 19. As I did last year, I gave myself a few targets to aim for during the week as I knew I’d never be in contention for any trophies. Oh, and perform a better competition finish for the cameras! With the weather forecast predicting great conditions, we were all looking forward to a cracking week of fun and flying. Day 1 of the competition had arrived. Going back to my competition preparation, or lack of it. It is probably worth mentioning I hadn’t actually been cross country since September 2017. 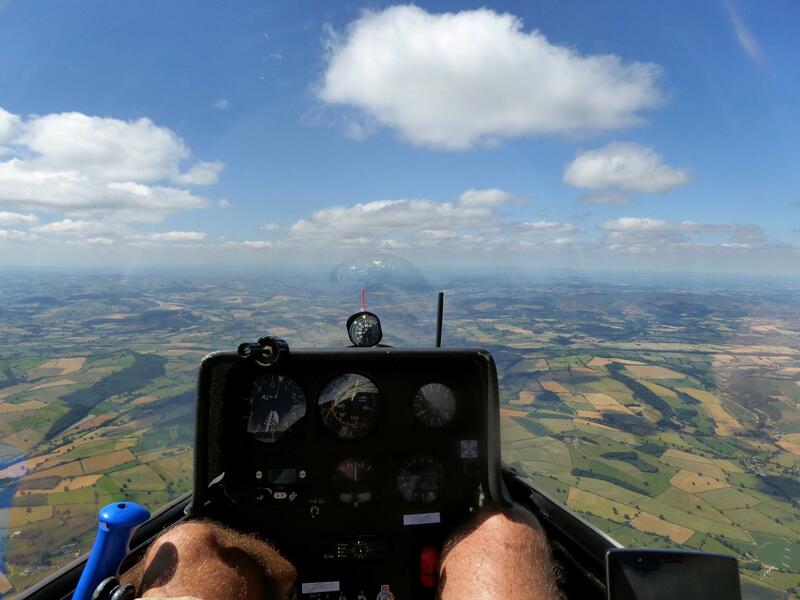 Despite my enthusiasm to get into the air, my lack of experience was countered by the knowledge that I could always just follow my fellow SoAGC pilots around. – Surely they wouldn’t leave a man behind?…. BIDford – ETTington – NOW-Northampton West – GRW-Grafham Water – KWO-Kibworth – ETTington – SFW-Stratford West – BD1-Bidford Finish E.
My strategy was to go slow and steady and not to land out on the first day. 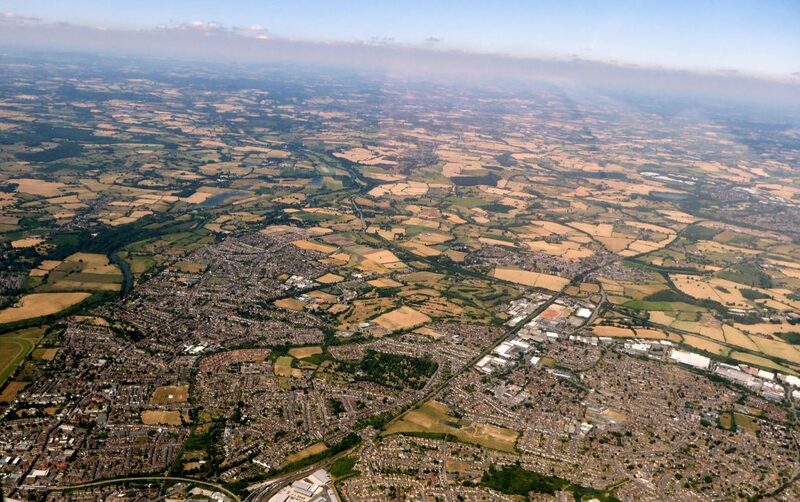 The flight was quite straight forward and it only got a little eventful towards the end when I started getting low which forced me to route towards Shennington, just in case. Luckily I found a thermal above the munition stores at MoD Kineton which got me back on track. 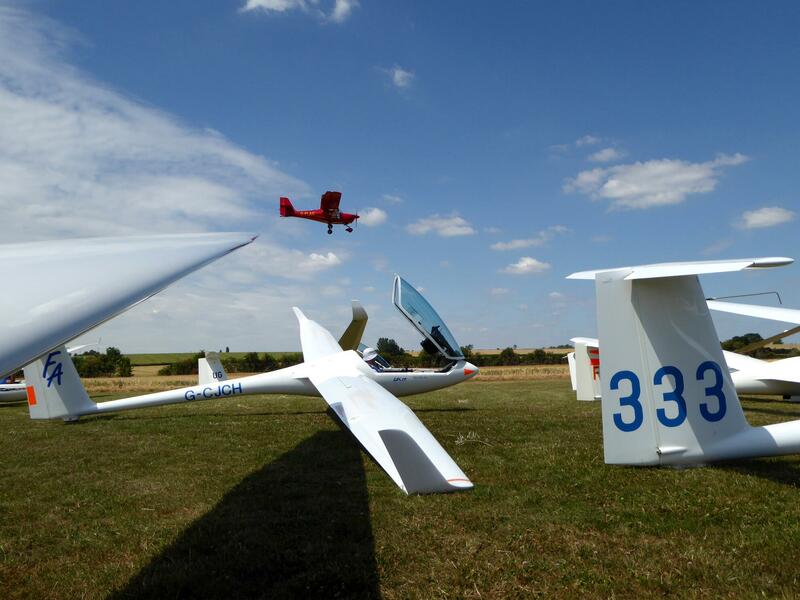 With a little top up near Ettington I was soon on final glide and racing back to finish. As we got ourselves prepared on the grid the sky was beginning to look amazing to the East. However our task was to go West and into the blue. 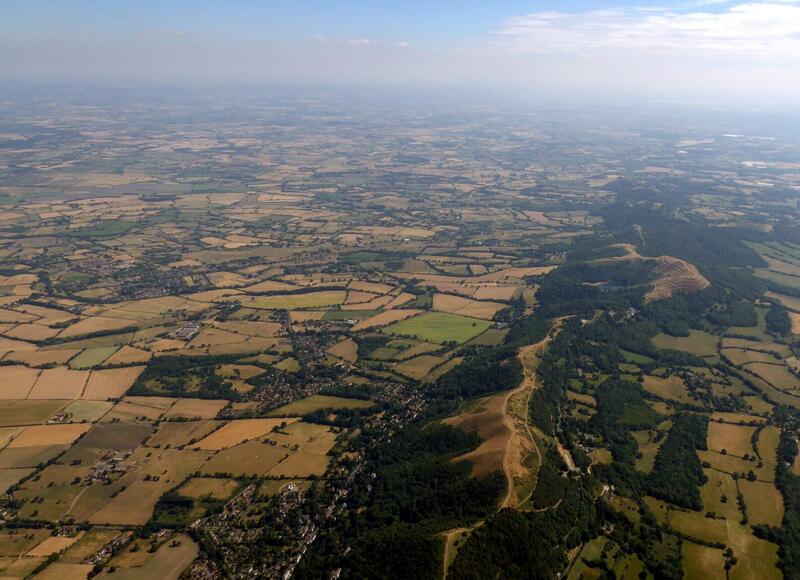 My experience of flying in the blue to date had been a few occasions wafting around locally to Snitterfield. So with over 200km to fly in the cloudless conditions my strategy was to, a) Follow other gliders!, b) Fly straight and hope to bump into lift. c) Route over towns. As soon as I came off tow I hit a good thermal over Bidford and gained 3000ft. This boosted my confidence that things would be all okay. 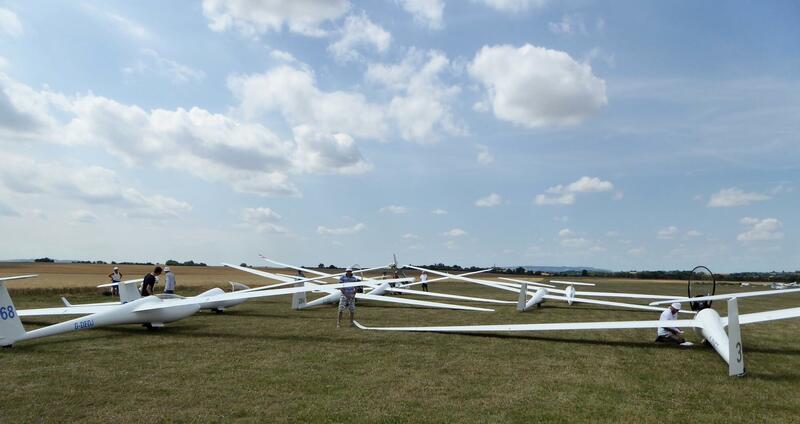 Once the start gate was opened I put my strategy into place and started to follow the other gliders. Andy led the pack and I was not far behind. Everyone was doing the same and the gaggles soon become quite large and the climbs inefficient. I therefore chose to go alone. Quite often I’d find a thermal and then straight away gliders would rush to you like a swarm of angry bees! Fortunately I was soon left alone due to my slow flying speeds. 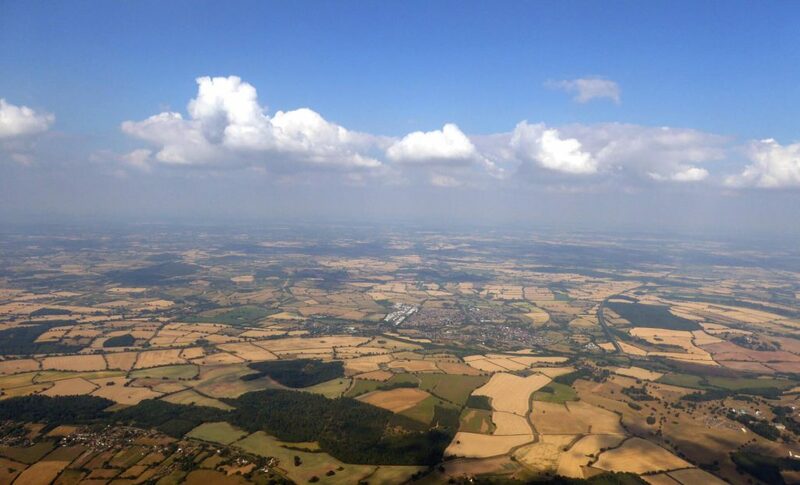 Beyond Tenbury Wells the sky changed and we had the luxury of cumulus clouds to mark out the thermals going forward. The visibility that day was amazing, from 5000ft I could make out the sea at Cardigan Bay and the mountains of Snowdonia. I’ve since checked on the map and the sea would have been about 60miles away from where I was. 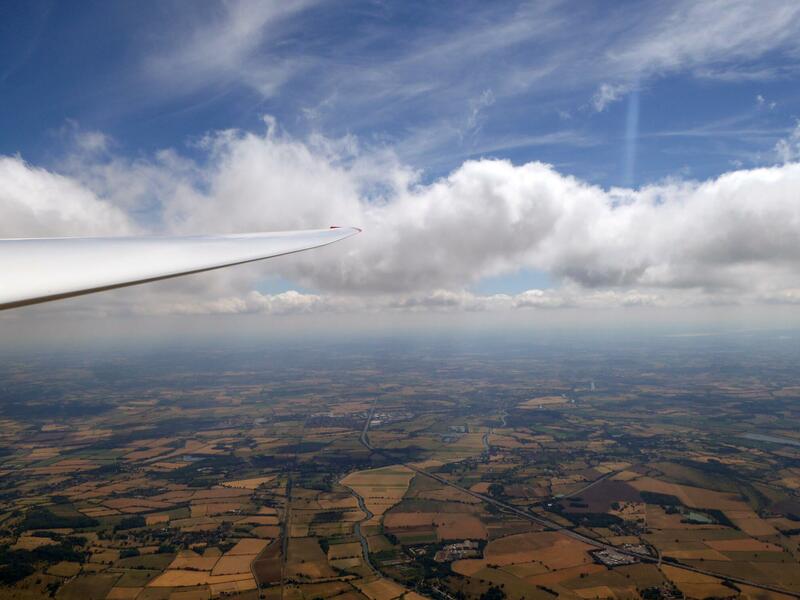 It was quite a straightforward task once the clouds were out and it wasn’t long before I was high enough to complete 45km final glide to finish the day. This all started so well. I romped down to Bicester North bouncing off the thermals and only taking 2 very good climbs to keep me near cloud base. I turned for Ettington and again everything was working as planned and I felt like I was flying the fastest cross country I had ever done. My hopes of a good day result were dashed when, after Ettington I just couldn’t find another climb, nothing seemed to work. From down within the weeds I managed to get a little bit of lift to stop me looking for field landing options. I crawled on looking for a decent climb to get me going again. Finally I picked up one near the airfield at Bidford and gained over 3000ft. As I was heading towards the Malvern turnpoint I got myself on final glide after which I enjoyed the stress free 46km of straight line flying all the way to Malvern and then the finish line at Bidford. A fantastic day for Dan. His first ever day winner at a Regionals Competition. Off we set towards a not very inspiring sky. My cross-country speed wasn’t that fast but nor was anyone else’s and initially manged to keep up as best I could. 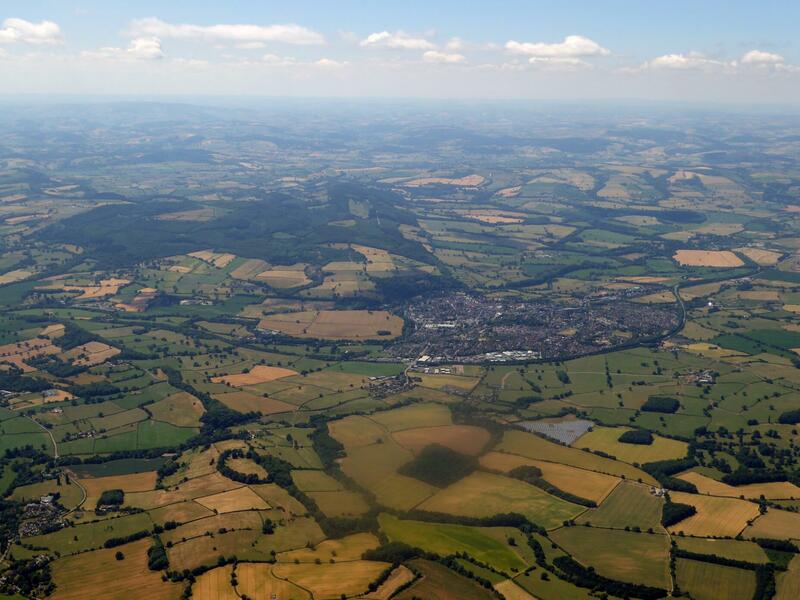 It was uneventful up to Newent, but things were all about to change. As I turned Newent I was presented with a routing dilemma to Shobdon. Do I go under the overcast sky and seek out embedded CU or do I go for blue and hope it is still working? I chose the overcast route and went hunting for lift. It wasn’t long until I found an embedded CU with lift and so I began to think I had chosen the right option…That lift was my last proper thermal that day. Things were getting desperate as I turned Shobdon E (Quite close to Leominster). 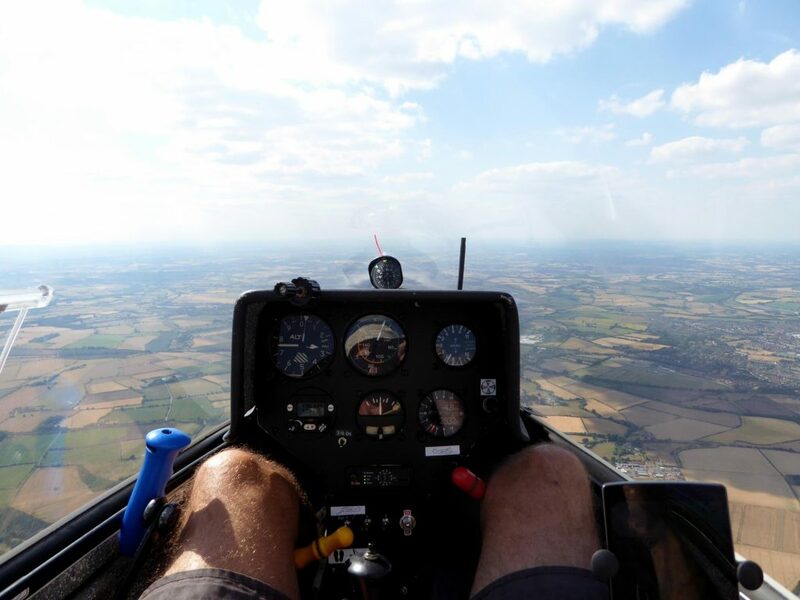 I frantically searched for sources of lift to give me an option of landing out at Shobdon Airfield but I just couldn’t get high enough for a safe glide there. This area of the county is not renowned for its landout options because of the undulating ground and the very small fields. I must have been still just over 2000ft high when I switched my focus from searching out lift to looking for a possible landing field. As I drifted lower I noticed Barry and Sharon in their Duo coming towards me. Surely they wouldn’t leave a man behind and would help by joining my search for a good thermal to get me home? Of course not, they were struggling themselves and so they went on by leaving me to prepare to land. I spent a while planning my circuit into the field and so when I got to the point of no return it was all very straightforward getting down safely into the field. I should have mentioned earlier. 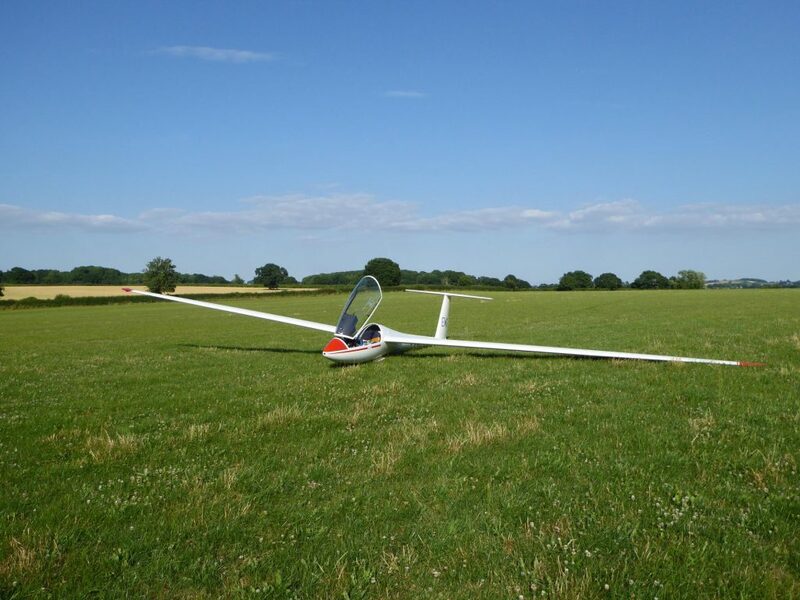 Dave M had offered to be my Crew during the comp, and so he was put into action to come and get me and the glider from a village called Humber. It was bit unfortunate for him/me that I had pretty much landed out the furthest possible distance from Bidford I could do that day. In the 2hrs from landing until Dave turned up I tracked down the farmer’s wife to explain the situation. She was great about it and later on brought her whole family over to take a look at the glider. All her kids took up my offer to sit in the cockpit and pose for pictures. Dave and I got back to Bidford about 21:15 that night. A very long day in the end but all part of the fun of pure gliding. Annie prepared the late-arriving landouts with a delicious gammon, egg and chips dinner! A straightforward and a quick task for me which was good, given my land out the day before. Dan had a cracking race again and picked up his second 1st place of the week. The weather meant a wait until mid-afternoon before we were sent on a quick romp around the local area. I was slow but once again Dan cleaned up! I was feeling confident so I decided to put some water ballast in for the first time in the week. It wasn’t good going so I dumped it over Clee Hill as the thermals were very weak. But typically a few kilometers later the sky started working properly and I wished I had kept my water. 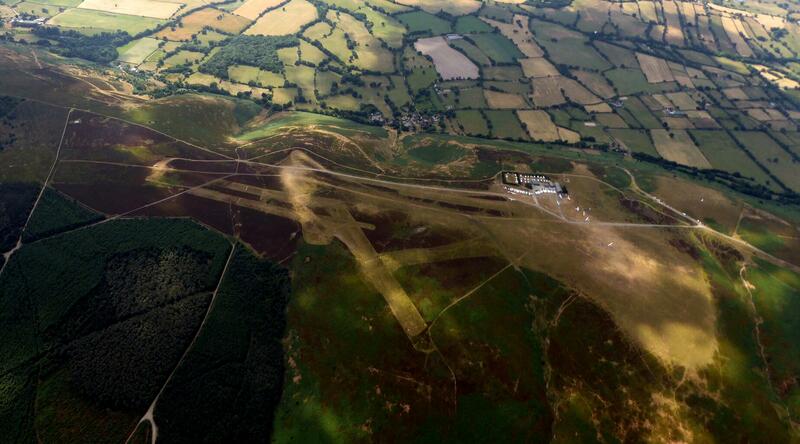 It was great to overfly the Long Mynd for first time and to look down at the gliding club in action below. Andy in his first competition was the day winner and Dan was top of the overall leader board still with just one day to go. The final day and it was time to fill the wings with water ballast to hopefully quicken my cross country speed but more importantly to give me a more dramatic finish at the end! The forecast was great for the day and so they sent us out East to make full use of the best conditions. The weather delivered as per the forecast and I experienced some of the best conditions I have ever flown in, which included getting my new personal height record of 6500ft. The only tricky bit of the flight was the last 50km when it went blue and we were constrained by the airspace. At one point I routed right along the runway at Gaydon hoping the asphalt would kick off a thermal – fortunately it did. Once the runway at Bidford was in sight I sped up to about 150mph and released the water to complete my competition week in style. Unfortunately for Dan he couldn’t keep hold of his lead and Peter Stafford-Allen pipped him to the coveted first place trophy. 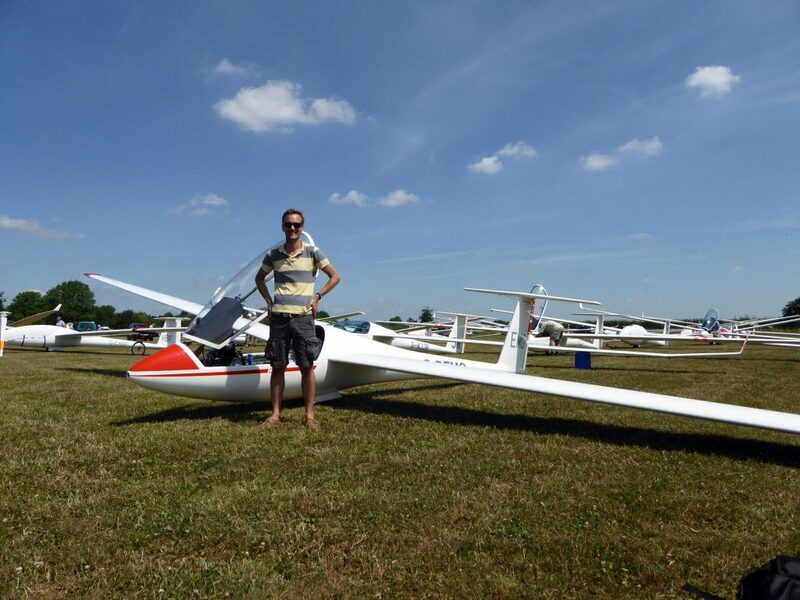 Peter finishes in Stratford on Avon Gliding Club's LS4 at the Bidford Regionals Gliding Competition 2018. A great performance from the Stratford pilots! 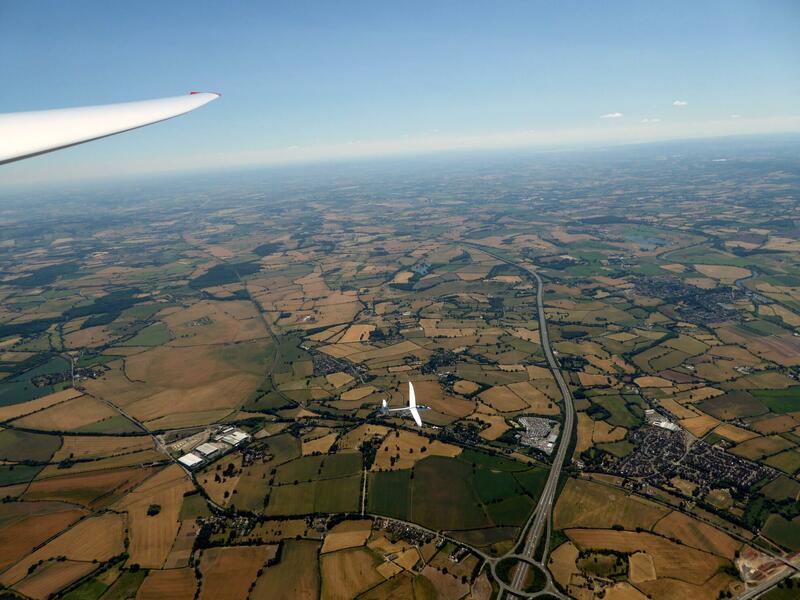 We were fortunate to have some of the best soaring weather for a competition for many years. Over the 8 days of flying I added 27 more hours and 1500 more kilometres to my log book but more importantly I had the opportunity to develop and to better my cross country flying skills. I set out to do better than last year and so I was really happy to get 19th overall. A few more years and I might be able to give the other Stratford pilots a run for their money! The Bidford Regionals is a very well run but relaxed competition. I would highly recommend anyone who wants a fun week of flying to enter next year. I wouldn’t have been able to participate without the use of the club’s LS4. I therefore would like to thank our committee for allowing me to hire it. A big thanks goes to Dave M who was my dedicated crew. He was always there to assist me at the beginning and at the end of the each day and it made my week so much easier. Lastly Stratford pilots were very much involved in helping to launch the grid each day. We had Chris E as one of the tug pilots, Ben E running the wings, and ‘Emerly’ S plus Dave M drawing out the tug ropes. Thank you to you all. This entry was posted in Flying reports and tagged flying report, gliding competition by Peter C. Bookmark the permalink.